Selling a home could be a little easier when you seek the right help. Contact us, we can help! 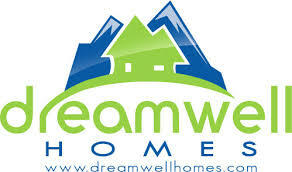 Here at DreamWellHomes, we believe in the effectiveness of specialization, reputation, and experience. We also love and respect our customers and happen to know some fabulous agents who will treat you with utmost respect and professionalism. By submitting this form, you are giving us permission to have a local real estate agent/ real estate broker in your area contact you directly to schedule an appointment to meet with you or speak with you over the phone. It is always a good idea to meet and interview at least 3 real estate agents who are active in your area before committing to sign paperwork and list to sell your home. You will learn a lot from the process and ultimately get a good deal. What to expect when you meet with a real estate agent to sell your home? During this meeting, the real estate agent learns about you, listens and understands your selling needs, goals, and timeframe. He or she will also walk you through their marketing plan to work together in successfully selling your home and suggest steps on increasing the desirability of your home. The real estate agent we connect you with will go through a comparative market analysis (a.k.a. comps) to arrive at the suggested listing price of your home in a consultative manner. The agent will also set up the right expectations by describing how they work including ways to keep you informed throughout the process. During the meeting, you may ask an experienced professional for ideas on what you can do to get more money for your home. This meeting is a time well spent if you are serious about getting a good deal on your home. When you speak to a real estate agent, be aware that real estate commissions are negotiable. Best of luck to you! If you need help finding a replacement home, please be sure to sign up for property email alerts here. Remember that once you find a buyer and they need a loan and offer you a purchase price subject to an appraisal contingency, the home will need to appraise for the price you agreed on. Watch this video from DreamWell Homes for a little more information about the appraisal process. If you are looking for a wonderful and experienced real estate agent to represent you in selling your family home who will treat you with utmost respect and professionalism, please call Jean and Ken Tritle at 760-798-9024 or simply fill out the form above. Here at DreamWell Homes, we connect amazing buyers and sellers with great agents.